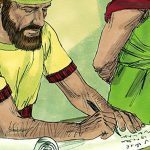 I have something wonderful to share today, so I’ll interrupt our study of the Berean incident in Acts 17, using this post to deliver my news – my blog is now part of the Bible Gateway’s Blogger Grid! I’ll tell you more about this grid later, but first let me tell you how this all happened. 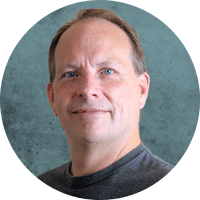 Shortly after I started my blog back in April, my wife suggested I take a look at Bible Gateway as a possible venue for guest blogging. That’s because one of the best ways to grow readership is through guest posting. 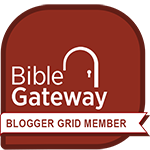 When I checked out the Bible Gateway Blog, I noticed a tab labeled “Blogger Grid,” which intrigued me. We took a look at your blog, and although the content looks to be a great fit, Blogger Grid members are required to have at least 20 published posts in order to join. 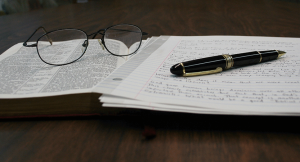 We encourage you to keep writing, and reach back out once you have reached that mark. I was understandably disappointed, but at least they held out hope for the future. And yes, you better believe I was counting each blog post, anticipating the moment when I could once again contact Bible Gateway. That time came in September, when I sent a reply to the April email Bible Gateway had sent. I received an official request for information the following day, after which I waited (not so patiently) to hear back. My acceptance came September 25, and boy was I excited. There’s a reason the site attracts so much traffic. 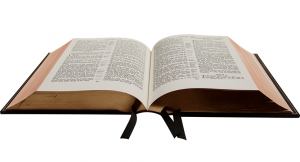 To begin with, it offers more than 200 translations of the Bible in more than 70 languages. English dominates, with 59 versions of the Bible (six include only the New Testament). At the moment there are 10 audio versions, some of which are dramatized. All of what I’ve mentioned so far is free for anyone to use. There are four additional features, also offered without cost, that require you to log in. These features include customizing Bible reading plans for yourself, highlighting Bible passages, typing and storing notes on your readings, and syncing your notes across multiple devices. 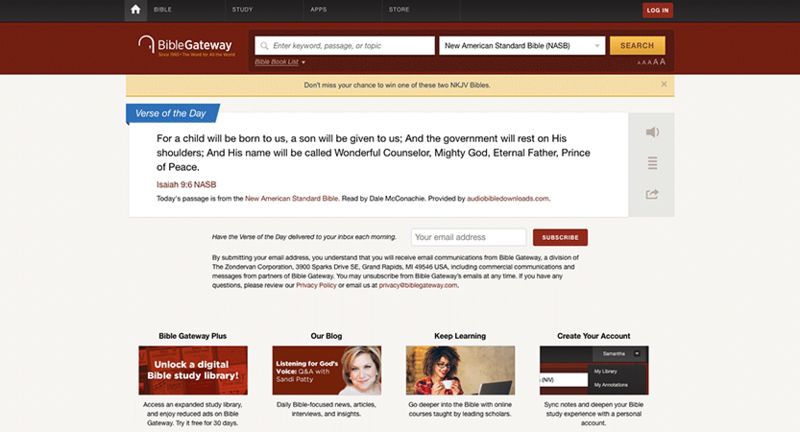 Additional resources are available through a paid-subscription service dubbed Bible Gateway Plus. The monthly fee is $3.99 plus any applicable taxes. 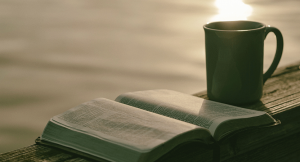 For this fee, you’ll have access to commentaries, dictionaries, study Bibles, devotionals, and more. If you’re just starting out and haven’t been able to build a reference library, this is an inexpensive way to sample some of what is out there. As a member of the Blogger Grid, I will link Scriptural references to BibleGateway.com. I will also write about Bible Gateway at least once each quarter. Both of these requirements fit nicely into the purpose of my blog, which is to teach how to study the Bible more effectively. Since Bible Gateway offers so many resources, it will come in handy as we study the Bible together.